When I worked for a corporate organization, I had to call executives and convince them to consider our product. I had no direction for the conversation. Until I got sales training, I didn’t know what to stay to get them to the next step. That map is known as a buying process or a sales process, and we’re going to give you the fundamental basics a sales process should have. 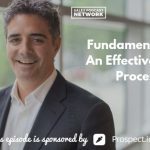 On today’s episode of The Sales Evangelist, we’re going to help you determine whether you have an effective sales process and what you can do to develop one. You probably have some sort of process in place and it’s probably working to some degree. But would it benefit you to tweak it? 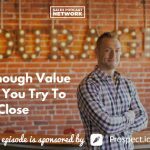 Do you feel like you’re not closing enough deals? Maybe it’s the way you’re presenting things or maybe you’re working in a company where you don’t have anything at all. Instead, you’re just winging it when you communicate with customers. If you feel like you’re walking in the dark, that system won’t help you hit quota and you won’t be able to scale. I want to give you basic sales processes that you can apply. 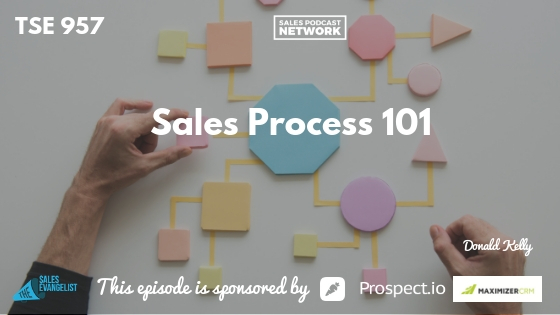 A sales process is different than a sales philosophy. Your philosophy is the belief that you have or the things that you value. It’s the values you present to your customer. There are certain things you believe in that you’re unwilling to cut corners on. Your sales process is the steps that you take in order to help a prospect go from an interested prospect to a paying customer. What do you do at each level? You need to establish repeatable steps so that you aren’t making it up every single time. Without a process, your sales will be agonizing and it will never scale. If you don’t have a process or you have a process that is outdated, visit with each of your sellers to find out what they are doing to bring brand new prospects to the point of purchase. What steps do they follow? Why are they using those steps? Some of your sellers will be doing things well and you can share those effective steps with your entire group. If you have this discussion as a large group, people will most likely give the answers they think they are supposed to give instead of the steps they are actually using. Involving the sales team in building a sales process will give them buy-in. Once you’ve discovered what each person is doing, share the commonalities you found and what seems to be working best for the team. Find out how your prospects buy. You can have a prospect on a call or you can simply research. Once you know what works and what the buyer wants, you can develop a process that is in line with what the buyer wants. Your job is to tweak your process so that it falls in line. There are many types of buying processes but there is something specific that must happen at each stage. Determine what must happen at each stage. What things must we do in order to be effective? If we skip steps, we get to the close before the buyer has addressed all his objections and uncovered all the needs. You’ll skip basic qualification steps. Some companies use a top-down approach and some use a checklist of things that have to be accomplished. My door-to-door sales operated that way because we didn’t have a long closing process. Flowchart approach usually exists with big-ticket items and b2b selling where your process evolves based upon the buyer’s behavior. The approach requires adjustments at each step of the process. You must be moldable. The more complex the sale, the more people you’ll have involved in it. If you don’t have a process, create one. If you have one, tweak it.